Every once in a while, a product comes along that just “makes sense.” The Dangle Glove is one of them. 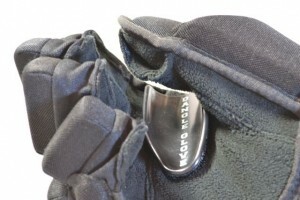 This special glove helps to “force” players to use proper technique while stickhandling. I’m sure at some point you’ve seen players stickhandling using a piece of PVC pipe, or a toilet paper tube on their bottom hand. This old training technique has been around for a long time, and is used to help players develop the habit of using their top hand to control the stickhandle, while their bottom hand acts as a stabilizer. The Dangle Glove takes this training method to a whole new level, allowing for more flexibility in drill types. Although the old PVC Pipe method is a good start, there are some major limitations to this training method. You can’t let go of your bottom hand. If you do, the pipe drops to the bottom of the stick, and the device is useless. 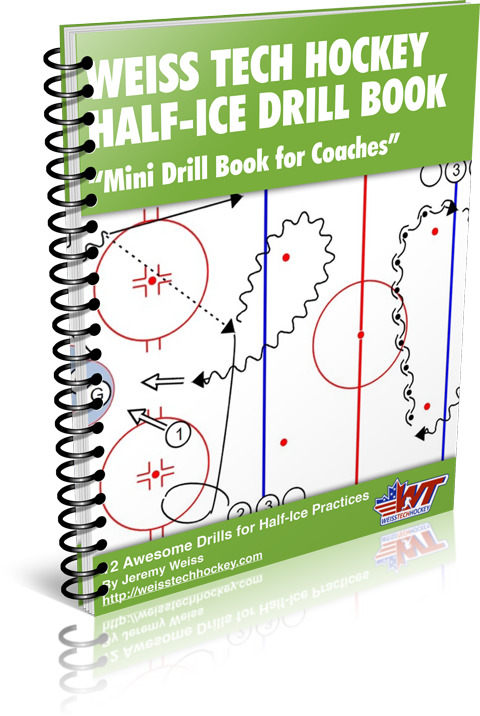 You can’t do on-ice, contact drills. Obviously, there’s no padding around a piece of PVC pipe. In theory, you COULD wear your glove, and hold onto the PVC pipe, on the ice… But then you run into the same problem we mentioned above; you can’t let go of the stick without the pipe dropping to the bottom. Dangle Glove features an HDPE insert that mimics the effect of the PVC pipe, except it’s the shape of a half cylinder. This design lets you let go of the stick, then re-grab it, without losing the insert. 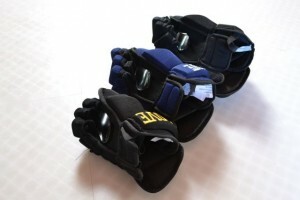 Dangle Glove has attached their plastic insert into the palm of the glove (via velcro), which allows players to wear the glove in on-ice, full-contact situations. 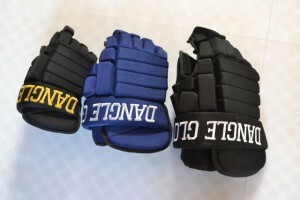 The updated design of the dangle glove let’s players develop their stickhandling skills in a multitude of situations. 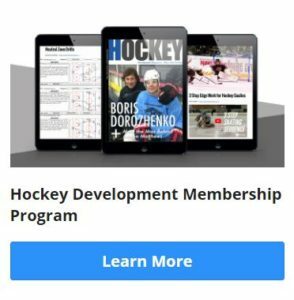 It’s great for off-ice use, as well as for use on the ice. It’s a fantastic tool, and one that I definitely recommend!